Basic life-saving courses are easily found on KC First AId's calendar. 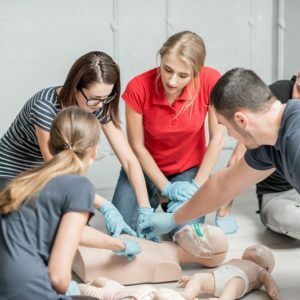 If you are looking for a large selection of basic life-saving courses (BLS) in the Kansas City area, Kansas City First Aid has a class for you. KC First Aid has authorized training professionals specializing in teaching private and public First Aid, Cardiopulmonary resuscitation (CPR), and Automated External Defibrillators (AED). Our calendar for these classes is user-friendly and will explain about each class. Our calendar is located at http://www.localendar/public/kcfirstaid. On Wednesday, October 3, there will be a basic lifesaving course in CPR for Healthcare Providers at Homer’s in Overland Park from 1 to 4 p.m. This American Heart Association course teaches the skills of CPR of victims of all ages, including ventilation with a barrier device, a bag-mask device, oxygen, use of an AED on adults and children and relief of Foreign Body Airway Obstruction (FBAO) in responsive and nonresponsive victims. This course is designed for healthcare providers who care for patients in a wide variety of setting, both in and out of the hospital. The fee is $50 with no textbook, or $65 which includes a textbook. All you have to do is click on the class on the calendar, and registration is as easy as clicking on registering with a textbook or without a textbook, and you can also check a box to remind you of the event. For those working in a medical setting, KC First Aid offers the basic life-saving course described above, the BLS for Healthcare Providers CPR Online Renewal, and the Advanced Cardiovascular Life Support Provider Course. The basic life-saving course in CPR is offered at least twice weekly in October, so there’s always a class available for your schedule. The American Heart Association Heartsaver Adult First Aid with CPR and AED course was developed on the basis of evidence-based guidelines. It is a modular course that includes essential information and training in the first-aid skills recommended by the Occupational Safety and Health Administration and provides the skills to effectively assess and maintain life from the critical minutes immediately following an emergency, until the arrival of emergency medical services personnel. The course provides a complete health and safety training solution for first aid, adult CPR, and AED. Basic life-saving courses like this are offered several times in October and beyond. We also offer a Family & Friends CPR Anytime Self-Directed Course, which does not include certification, and is a personal learning product that teaches lay people, in the comfort of their own homes, the core skills to perform Adult and Child CPR in just 22 minutes. This basic life-saving course instructs the user in a “practice-while-watching” format. The kit includes a 22-minute instructional DVD, a personal, inflatable mannequin with integrated adult/child compression clicker, and an American Heart Association Family and Friends CPR Student Book. The kit can be ordered anytime on www.kcfirstaid.com. 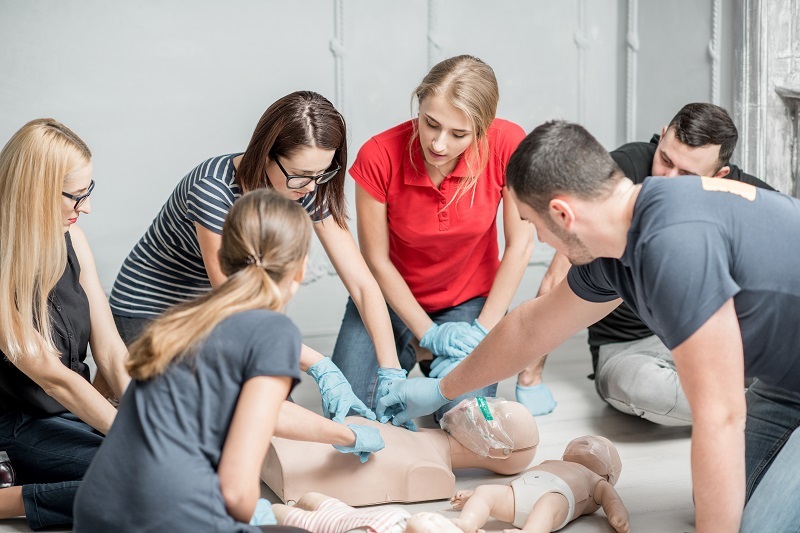 KC First Aid specializes in teaching basic life-saving courses like CPR classes, First Aid and AED training, with both public and private classes throughout the Kansas City and surrounding area. If you don’t know what course is right for your needs, call (913) 980-5245 and we’ll be glad to work with you or your organization.